Have I mentioned before how much I love mushrooms? I also love asparagus and this dish puts them both together. Delicious! Plus super simple! Umm…I’ve been up since 3 AM and don’t have much else to say. Enjoy the rest of your day! Put asparagus in a casserole dish. Drizzle a small amount of olive oil over them and lemon pepper to taste. Stick in oven for 15 minutes. While asparagus is in oven saute shallots with salt and nutritional yeast in butter for 5 minutes. Add chantrelles and saute for 5 more minutes. Once asparagus has baked for 15 minutes pour chanterelle mixture over asparagus and bake for ten more minutes. Serve. 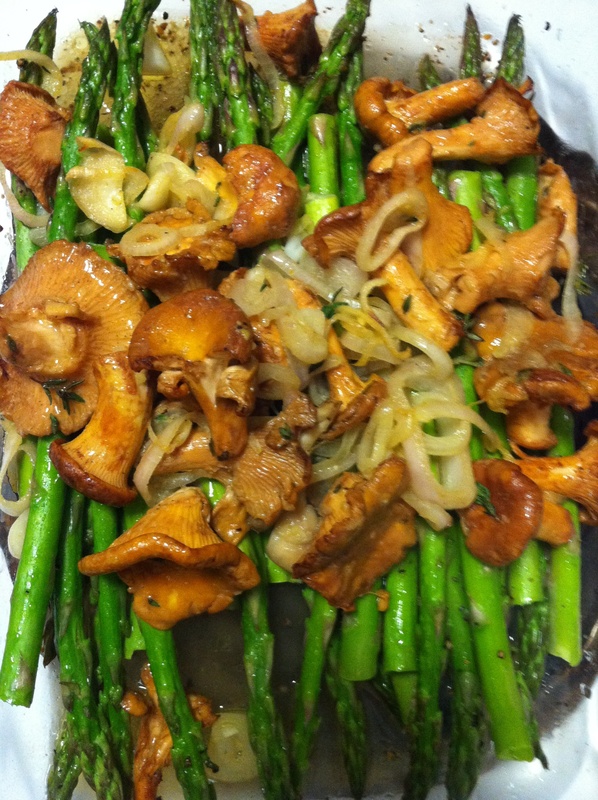 Gallery | This entry was posted in Sides and tagged asparagus, chanterelle, gluten free, vegan. Bookmark the permalink.